One thing’s for sure, you can never have enough arm candy. Not sure if you’re ready to add another timepiece to your collection? 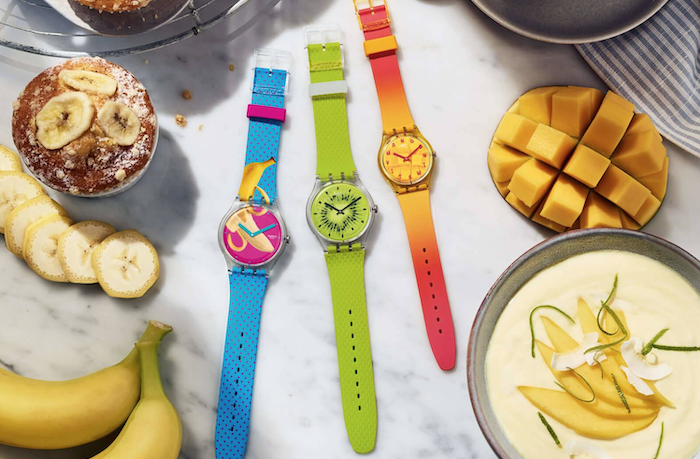 One look at the bright new Swatch Spring Summer 2019 collection will surely change your mind. 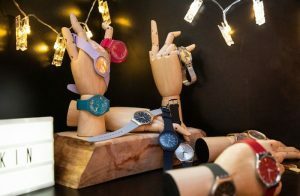 If you love bold watches you’ll definitely find something to blow your budget on this new collection. With three different themes to choose from, this new pop art-inspired collection is bold, playful, and totally lust-worthy. 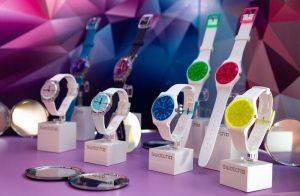 An extraordinary evolution into time, the Swatch SS19 collection dares you to be different! Stand out this year with this new colourful wristwatch collection for the upcoming season. There are three themed lines including: Transformation, Listen to Me and Energy Boost. All three themes fuse a spectrum of vivid colours with out-there shapes and patterns, allowing the wearer to make a statement of note. This collection doesn’t hold back! Function, fun, and colour come together in the Transformation series with wild patterns, creating optical illusions whilst remaining simple and wearable for everyday use. Plus, a new polarised glass face, featuring a semi-transparent mirror coating, reflects pastel tones when exposed to light. Making your watch just that little bit more magical. Reminiscent of an adventurous trek through the urban jungle, Listen to Me, screams self-expression, pop art and street heart. Radiating strength and confidence, this theme is bold and unstoppable in the face of adversity. If you’re an adventurous type then Energy Boost will be right up your alley. With its fruity colours and bold contrasts that breathe positivity and brightness, this fun and exciting range will whet your appetite for adventure. Inspired by freshly-squeezed juices and smoothies, this tasty theme boosts vitality and energy. Shop a wide range of men’s and women’s Swatch watches online via PriceCheck now.